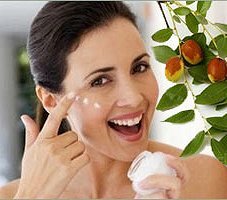 Most of today’s women prefer using organic cosmetics, and this is not a surprising tendency as this type of cosmetics is natural and safe, so it can be used by every woman. The ingredients of organic cosmetics are all natural, in contrast to traditional synthetic cosmetics, which frequently include dangerous and harmful chemical elements and compounds. For example, some fragrance ingredients for lotions or shampoos are derived from base oil. Do you think, they can be not harmful to your skin? 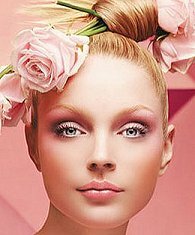 Organic cosmetics include only natural ingredients, derived from fruit, plants, seeds, oil, natural minerals, and so on. For example, the components of base metals are used as natural elements of the compositions for lipsticks, blushes or eye shadows, elements derived from honey and avocado are used for lotions and scrubs, and natural plant oils are used for soaps. All organic chemicals contain no harmful elements like pesticides, insecticides, etc. One of the main benefits of organic cosmetics is their property to rejuvenate and slow down aging of your cells. Also, their properties to moisturize, smooth and care about your skin gently are among the most important advantages of organic cosmetics. Unfortunately, it is not always easy to find 100% organic cosmetics. Usually, what we can see in our body shops is the products which contain only some number of organic ingredients. In many countries, including the U.S., so called “natural” cosmetics has 70-75% of organic ingredients, and 25-30% of synthetic chemical compounds, which are, however, potentially harmless to our skin or body. Such cosmetic products have to meet a set of standards created and controlled by several world’s organizations, such as Soil Association in Britain, OASIS in the U.S. or Ecocert in France. When making a decision about buying one or another cosmetic product, you should check out the list of the ingredients very carefully. Avoid buying cosmetics which have such ingredients as aluminum, dioxin, sodium lauril sulphate, animal fat, mineral oil, diethanolamine, elastin, or formaldehyde. Be especially careful when choosing perfumes since frequently perfume producers use various cancerous and toxic elements like mineral oils. Such chemical compounds can cause skin problems and affect the nervous system leading to depression, hyperactivity and excessive sensitivity. The best decision will be to choose 100% natural products. Certainly, this option is a little costly, but the opportunity to benefit from numerous advantages of organic cosmetics will definitely worth the price payed. Today’s ladies should learn more about organic cosmetics and be prepared not to trust blindly to the label “natural”, but know that it is a really natural product. Truly natural organic cosmetics will open all of us the way to being always in good health and looking always beautiful, natural, and happy! This entry was posted 9 years, 7 months ago. I was very happy to read about ORGANIC COSMETICS..Would like to know more as this is my cup of tea..I want to learn more an more about ORGANICS.. I totally agree! Organic and natural is the best way to go. You don’t see many posts on organic makeup. Thanks so much for sharing. Loving that natural is becoming more of a trend now!